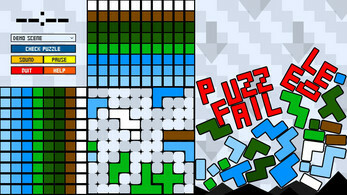 Pixik (currently in Beta stage of development) is a 2D logic puzzle game. 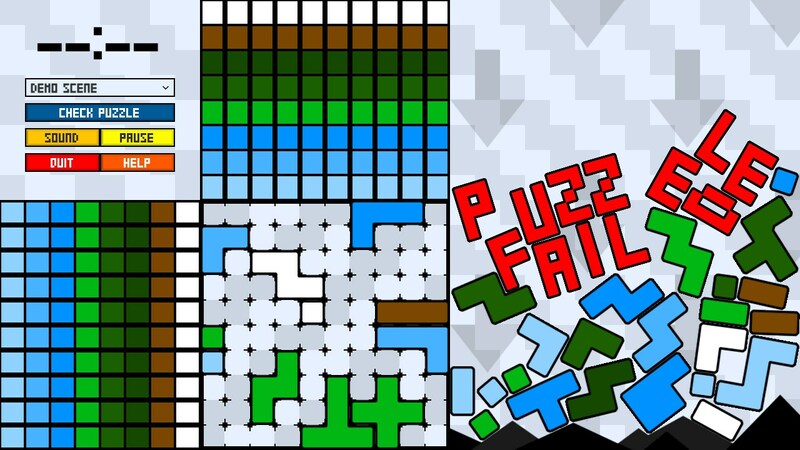 The goal is to complete the pixelated puzzle image within the time limit allocated (15 minutes), using the colored pieces provided. 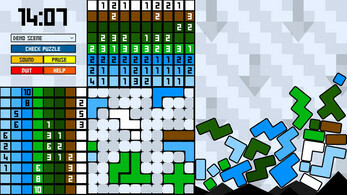 The number of colors per grid row and column for each image are displayed to the left and above the grid. 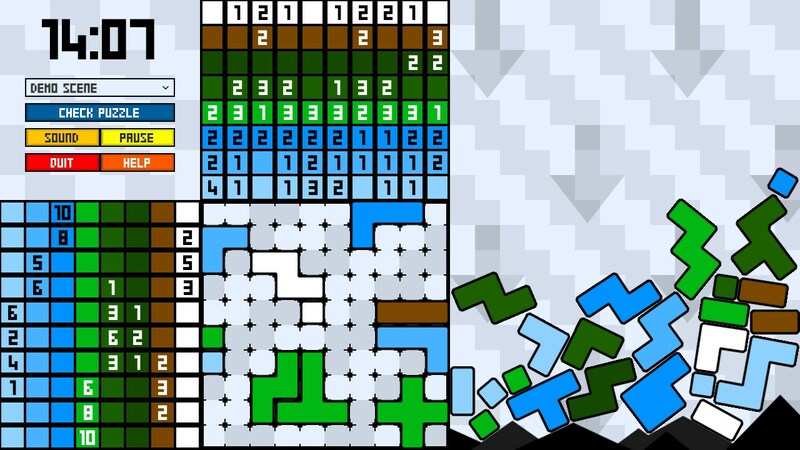 You can also check a puzzle if needed, to see which pieces match the image conditions. However, 30 seconds will be deducted from the time limit every time you use this option. 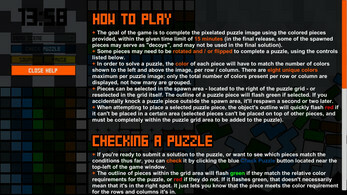 See the in-game Help menu for more information. 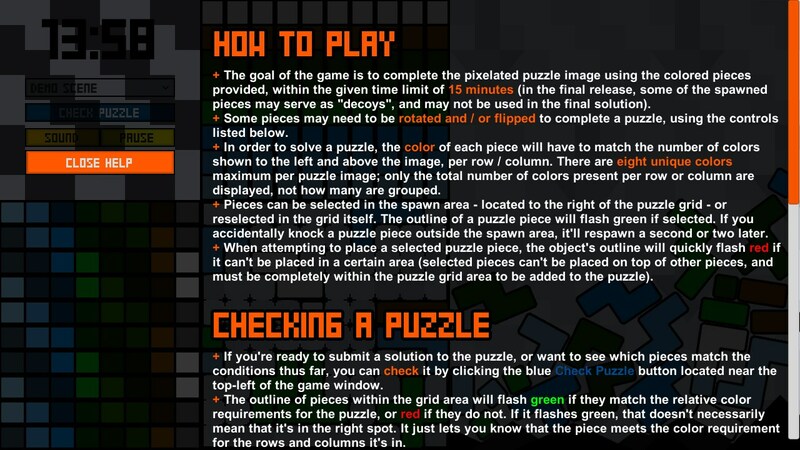 In the demo, only one puzzle is available to try. 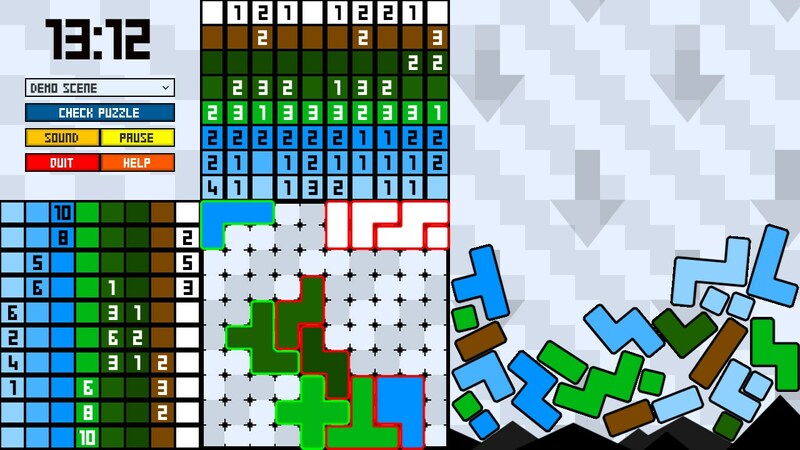 Although in the final release, 30 puzzles are planned to be included, and multiple solutions are possible for each image. The game is set to a fixed 1280 x 720 resolution. Note: feedback is greatly appreciated. The game may also take a few seconds to load when launched. The game can be played solely with the mouse if desired, or with both the mouse and keyboard. 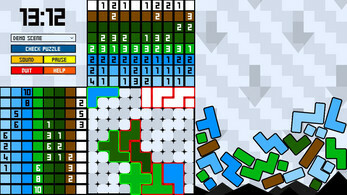 Left Mouse Click - Selects or places a puzzle piece. Right Mouse Click - Rotates a piece 90 degrees clockwise. Right Mouse Click (Hold) - Flips a piece 180 degrees vertically. A, S, D, F - Flip a piece horizontally or vertically (optional). Q, E - Rotate a piece 90 degrees counter-clockwise or clockwise (optional). 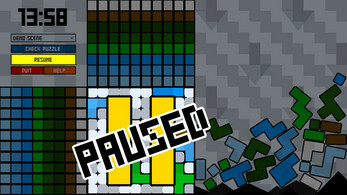 All music from the game was made by Nosoapradio.us (http://nosoapradio.us), included under the CC BY 3.0 License (https://creativecommons.org/licenses/by/3.0/).